A very merry, seasonal, whiskey-sipping, sleepy, bright, present-getting Christmas from Dr. Seamus Hurley, and from editors EEJ and DLR. We will return on January 2nd with new goodies from our Snake-Oilers, so Beannachtaí an tSéasúir until then! I want a bathrobe, deep and furry, an Abominable Snowman robe that wraps around me firmly, plucking me out of life’s snowdrifts, a geisha-wrapping robe, that snuggles me so I can barely move, taking tiny mincing steps that do not splash my coffee, cuffs sliding over my hands to make them delicate, almost invisible, collar brushing my neck softly like a cat’s plumed tail. I want a bathrobe that forgives cheesecake and Girl Scout cookies and the extra helping of lasagna, that flatters me poetically, that dusts the floor ahead of me with suitable obeisance, that feels honored to wrap my middle-aged body. I want a bathrobe that all the other clothes envy because I love it so much, washing it all by itself with the soap that comes in a bottle–not the box detergent with its look of cat litter gone wrong–drying it gently and hanging it on a hanger in between wearings, behind me in the mirror, so I can see it, always, even when I am putting on lipstick and clothes that do not love me—see it waiting to hold me, see it wishing that I was wearing it as much as I wish I was. Lydia Ondrusek is a long-married mother of two who describes herself as busy writing her way out of a paper bag. Her fiction and poetry have been published in venues that include GUD, Apex Magazine, Flash Fiction Online, and Deep South Magazine. Her middle grade story series King of the Marshmallows is epubbed by Echelon Books. You can find her online at lydiaondrusek.com, at thelittlefluffycat.com, and far too often on Twitter, where she is known as @littlefluffycat. Photographer Nicolas Bruno brings us more digital work that is surreal and beautiful. Over the past couple of weeks, Dr. H has been gearing up for the holiday season, so we’ve featured new work at a slightly less brisk pace. Nonetheless, it is all wonderful stuff, so check out what you missed n the last two weeks below! We’ll be keeping you entertained for the next week or so, then taking a small holiday break, but stay tuned for full details. Photographer Sharon Woods shares these fantastic photos of a runaway clown. Perfect for a Friday afternoon perusal. The fight took another flight. A.J. Huffman is a poet and freelance writer in Daytona Beach, Florida. She has previously published six collections of poetry, all available on Amazon.com. She has also published her work in numerous national and international literary journals. Most recently, she has accepted the position as editor for four online poetry journals for Kind of a Hurricane Press. 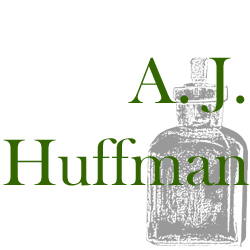 Find more about A.J. Huffman, including additional information and links to her work on Facebook and Twitter. Her other submissions to Dr. Hurley’s Snake-Oil Cure can be found here. Do I mourn my belovèd, and not move abstract nouns? Roll-your-own sweep of the real world in an apothecary’s ounce. Expressively, I travel the hot East & West ends, eating a volcano. Hail, munchies are my God—I’m found on a daylight world on majoun. A tin of dirt my heart’s palpitating talons the love after that’s unseen. “Cinammon Girl” by Neil Young; a fool I’m twenty-five nights a roun. Ehad, cloudy, five months on, I, Michael, a quixotic edifice discarded. The angel gestured & I dropped her, and my debt, in the ocean towns. Words I do not mean? Plagiarize love, in the absence of a decade of earth, leaking kisses. Her amber fluid cries her belovèd steps sure-footed down the canal. Supposedly impossible, the same One who created flies created him. For a cheap flight open-mouthed dusk became night playing the infinite. Hardly illicit flesh lingers cold a couplet goes on & — lays the gift. I so like unbelief word upon word so become tired of brooding sentiment. Pashmina wounded heralds a postmedia dawn. A last love blind One doubled upon him dead. Somebody’s got to take care of him, the King will protect her & love her. The pattern is this: the image of these injured elements woven shut. A greying feather slips from a composed mouth, & she reached a door. A viscous future forms in bed @ night conceives a prisoner. Footloose, he rose then fell into a halfway, fountaining tangled feet. One year, two years in a travel bag en route a Bulgarian harbour. My scant wounds a black mirror simultaneously wishing poems. 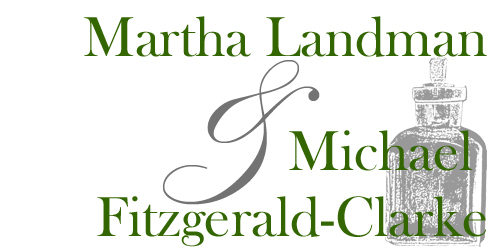 This poem is a joint effort by Michael Fitzgerald-Clarke and Martha Landman, from their recently published joint volume entitled The Paradoxophies. This volume also features a Prooemium written by Dr. Hurley Editor Emily E. Jones. The Paradoxophies can be purchased here. South African born Australian poet Martha Landman now resides in Townsville. Her work has appeared in Dr. Hurley’s Snake-Oil Cure and The South Townsville micro poetry journal. Martha is a psychologist who loves all things writing and reading.